Wedding ceremonies call for extensive planning and arrangements. 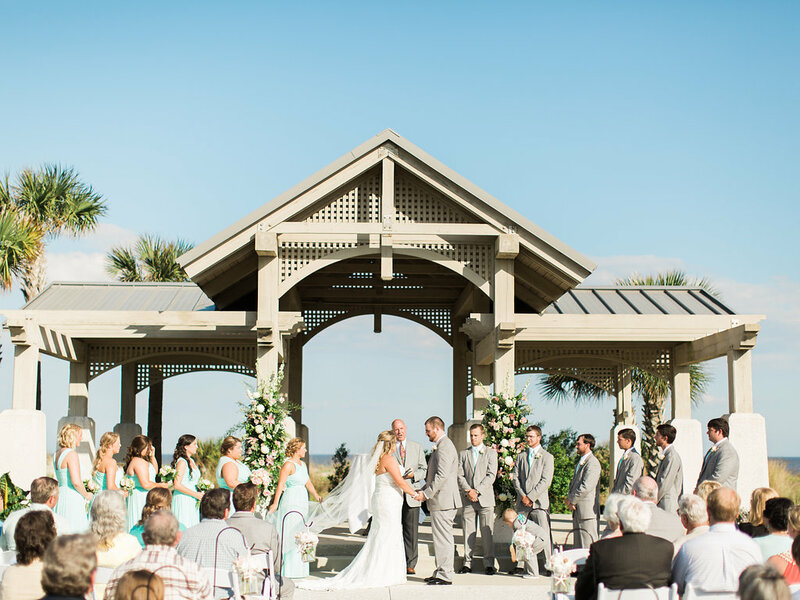 When planning for an outdoor wedding, there are several things you must take into consideration. You don’t want anything to spoil your big day just because you weren’t prepared for it. Things such as checking the weather forecast to make sure it is favorable and making sure your wedding officiant is available for the day. Here are some tips for you to plan your outdoor wedding. The most important thing you have to consider when having your wedding outdoors is your hairstyle. In case of wind and humidity, you need to ensure your hairstyle is able to hold up well. Discuss with your hair stylist what would work for your outdoor wedding. If your wedding is being held on a soft surface or on the grass, it is recommended you accessorize with flats or wedges. Sure, those heels will be gorgeous, however it won’t be worth the trouble when you take each step and sink into the ground. Imagine how difficult it would be for you to walk down the aisle where the wedding officiant OKC is standing with your man. It is a good idea to have your wedding ceremony and reception sites professionally bug-proofed in advance of your wedding day. You could also set up torches or Citronella candles as a backup and to enhance the ambiance. After all, you wouldn’t want a bug buzzing around you when the wedding officiant Oklahoma City proclaims you husband and wife. If navigating from the parking area to the ceremony area and reception space entails a good amount of walking, you should consider offering an option of easy transportation for your wedding officiant Oklahoma, your elderly guests, your pregnant guests or anyone else for that matter who do not feel comfortable walking. In the scenario where your outdoor wedding falls in summer or late spring, you may want to change into a reception dress before you rock the dance floor. In this weather, you will feel hot in your wedding gown as you dance with your partner. So change into something lighter and shorter so you feel eased and relaxed. As gorgeous as your wedding gown may be, your comfort is more important.